OpSkyblock is a peaceful, Skyblock-like server where the goal is to create an island and expand it to its limits! The difference is that this server is more OP than normal skyblock. There are currently FOUR Skyblock Servers you can play on. Skyblock Spear (Skyblock1), Skyblock Bow (Skyblock2), and Skyblock Shield (OPSkyblock). You can join these Servers by typing /server then clicking one of the grass blocks with the server name in the GUI. Or you can type /server sb1, /server sb2, /server sb3 or /server opsb depending on which Skyblock you want to join. #1: Scamming is disallowed (including /ah scamming, shop sign scamming and Irl scamming). Disclaimer: These are only server specific Rules. Chat and behavior related Rules can be found here --> https://www.mineheroes.net/wiki/server-Rules/ these Rules apply to all Servers. Block Spawners and Ingot Spawners are brand new types of spawner, only found on OpSkyblock. Block spawners spawn ore blocks, while Ingot spawners spawn ore ingots. For example, if you have a Diamond Block spawner, it will spawn diamond blocks, while a diamond spawner will spawn a normal diamond. 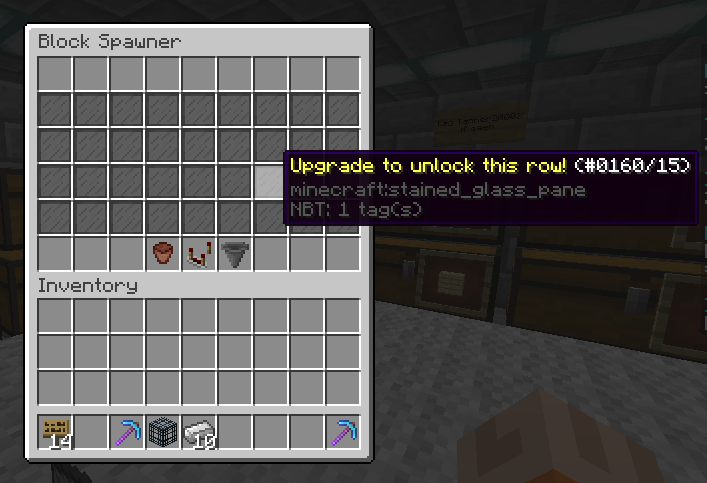 Block and Ingot spawners start off at level 1 and can be upgraded to level 5. 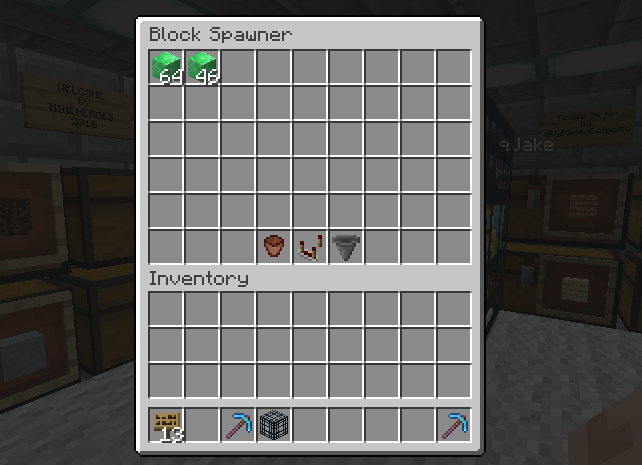 At level one, your spawner can only hold 9 stacks of whatever item it produces. Every level they get upgraded, the spawners can hold 9 more stacks of items before being filled. Upgrading these spawners also increases the generation rate of the items. Each level increases the speed by 10%. Supreme ranked members can now use worldedit on their islands or islands they are a member of. This works by using the resources/blocks in your inventory. This feature can also be bought separately from the store if you don't want to buy Supreme. The OpSkyblock economy is very different from the other SkyBlock Servers. This Servers economy is very buffed compared to the other Skyblock Servers, meaning that everything costs more and also sells for a lot more. Iron Golem spawners have been requested to appear in the shop for a long time. Iron golem spawners used to only be accessible from the token shop. These spawners were only obtainable by buying them with tokens. Now, Iron Golem spawners are able to be bought from /shop for 25,000,000 (25 Million). There are 15 ranks in total. WhySoToxic, Cqrbon, BasicallyLouis and 3 others like this.